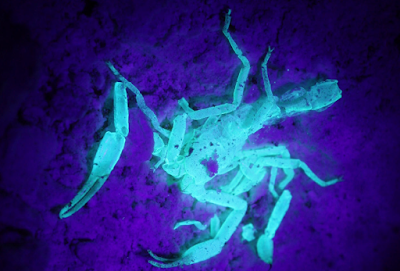 One of the more fascinating scorpion discoveries in the last 20 years was the discovery of a new scorpion family, genus and species in a closed cave system in Israel. Unfortunately, only dead specimens represented by exoskeletons of A. israchanani Levy, 2007 (Akravidae) were found, and the species is considered extinct. Victor Fet and co-workers have now published the findings of new, relict specimens of this troglobitic species from a new cave-system. This second record indicates a wider distribution of this unique cave scorpion, which, however, is extinct in both caves. There is still no evidence that live populations of this species exist.